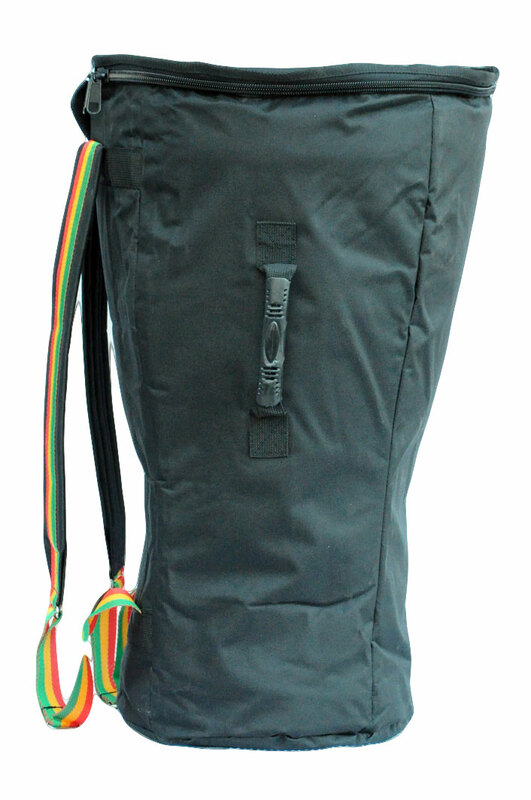 This bag for djembe is recommended for a djembe drum whose exterior diameter measures 31-38 cm, and is 58-67 cm high. The diameter of the foot of the djembe should not exceed 28 cm. 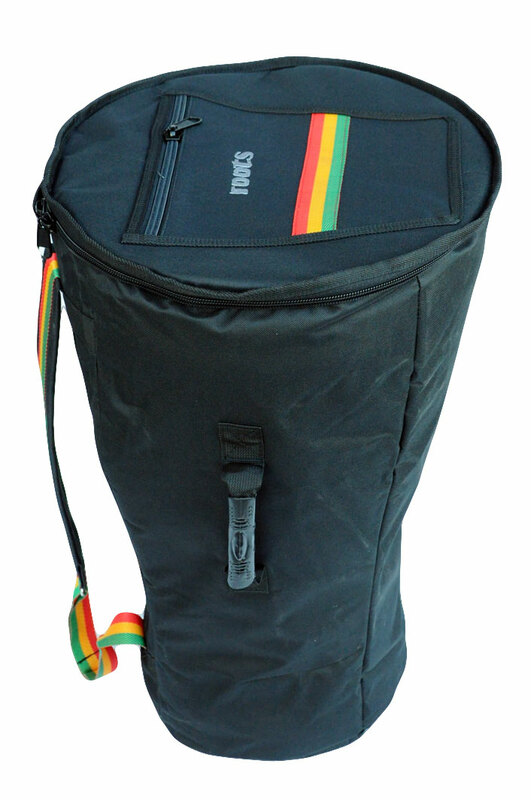 Covered with a layer of reinforced nylon on the outside and velvety synthetic fabric on the inside, the Roots Percussions djembe bag is quilted with high density foam. It also has a accessories pocket to put small objects. 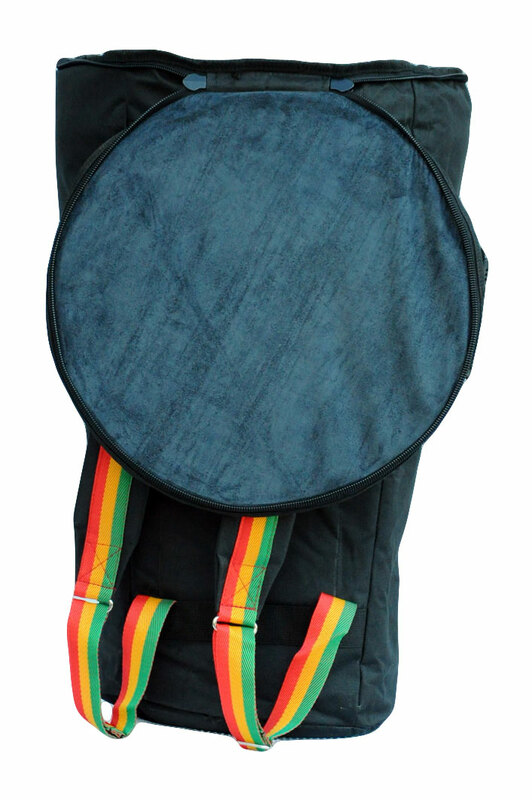 Thanks to its reinforced handle on top and its two adjustable straps, this is the ideal solution for transporting and protecting your djembe drum from being jostled and bad weather.